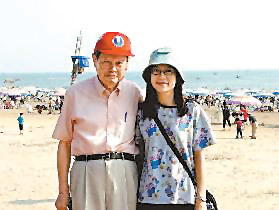 Chinese American Nobel laureate of physics Chen Ning Yang, 82, is reportedly engaged to a 28-year-old Chinese woman, whom Yang called the "final blessing from God." Yang and his fiancee Weng Fan indorsed their engagement through a telephone call and set a date in next January for their marriage. There is no public engaging ceremony as the two are now parted, with Yang in Beijing and Wen in Guangzhou working on her master degree. They first met at Shantou University, South China's Guangdong Province in 1995 when Yang, then accompanied by his late wife Chih Li Tu, elder daughter of late KMT general Du Yuming, attended an international physics seminar. Weng then worked as an interpreter at the seminar and happened to receive and serve the Yangs during the meeting. Yang was deeply impressed by Weng's considerate character, savvy and excellent command of English. 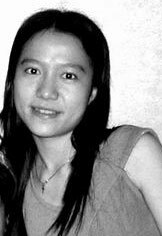 Wen was then a freshman of Guangdong Univeristy of Foreign Studies. The two reestablished contact in this February and then fell in love with each other. It will be the second marriage for both of the two. Yang survived his first wife Chih Li Tu last year. Weng got married shortly after graduation and soon got divorced. Since late 2003, the famed leading scientist has been giving regular lectures exclusive for freshman in China's elite Tsinghua University. In 1957, Yang won and shared the Nobel Prize in Physics with Lee Tsung-dao "for their penetrating investigation of the so-called parity laws, which has led to important discoveries regarding the elementary particles." Promoting condoms--who needs them most?